Your feedback has been noted, thank you! 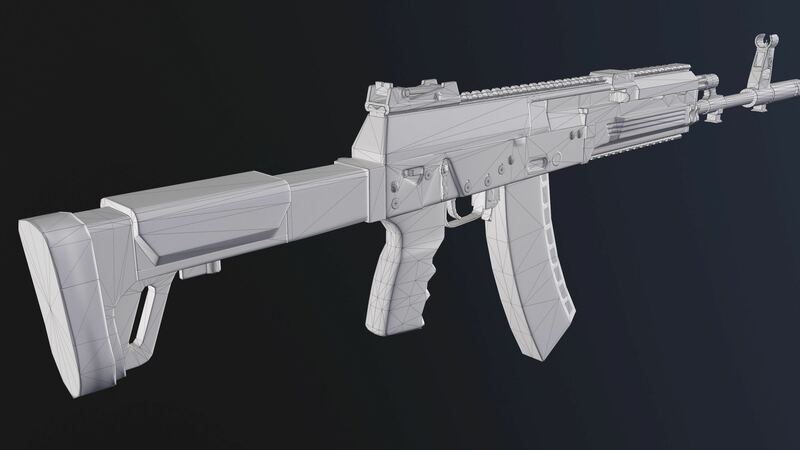 I don't know how drastic the changes are going to be for 2.18, but from what I've read you're going to make the Thompson more like a normal SMG or AR, which can be both good and terrible at the same time. I don't see the point of doing anything with the AS VAL. Right now it's perfectly fine, the only people who didn't like that gun is the people who have 10000+ AR's, but got rekt by a different type of gun. 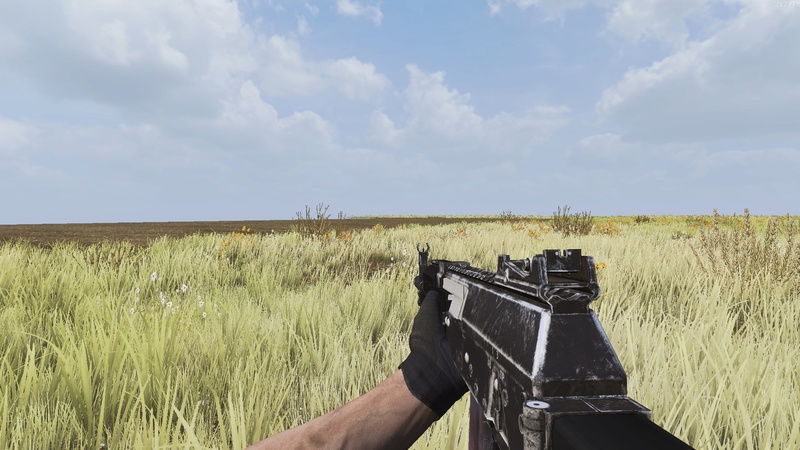 Decreasing the spread on the IMI TAR-21 and the AUG was not needed at all, since according to a patch by christmas every gun was supposed to shoot straight. Please do not nerf the asval, famas, or thompson. No one really uses them and i love them. I swear every patch, the odd guns i use get nerfed even though no ones complaining about them or using them. i spent over 40m gd on as val 60 ammo just to read that my 3 main guns are getting nerfed this next patch. Just don't ever nerf any gun honestly. No gun is overpowered compared to snipers so why ever make them worse until they are significantly better where they beat snipers more than 60% of the time within 60 meters. As of now it's no where close to that and any non sniper gun will lose to a sniper atleast 98% of the time at 60 meters. All the guns that aren't snipers, tar, aug, or sig, struggle to find any real place in the game... Yet i'm seeing the 2 most popular guns that no ones complaining about being too weak getting buffed... while the unpopular guns are getting nerfed? I try very very hard to show people there is a wide variety of effective playstyles for new and veteran players to enjoy and have fun with... and i know you guys value mine and everyone's input... But some of the changes i see in the patch notes feel like you're trying to limit the game more to just snipers, tars, and augs. Which i'm also wondering why the supercup was limited to 3 ar's ... why not allow all of them so people can see the effectiveness of some of them? Right now players say, tar or augs the best to use so everyone uses it and they don't even consider trying other guns. the supercup could've been a great time to show how good some of the other guns are and could've really opened up a lot more fun encounters in the game.. But again.. seems like were getting dragged back into the same small pool of 1 effective playstyle, use snipers, tar. run past everything else. And i didn't see anything about the spawn protection on the quick respawn system.. people don't even have time to put their attachments on before the spawn protection runs out and u get maybe 6-7 meters away from the spawn points before having 3 spawners behind u instantly shooting u even though you just checked and no one was there. I'm hoping these patch notes are not the final outcome of this patch. I really really hope they aren't. Starting now more focus is going into balancing and improving weapons. What would you suggest about these weapons be changed? It can be anything about any weapon. Everything is on the table! As of SMGs, ARs and Snipers the balance is kinda off in my opinion. This is mostly due to the fact that Snipers are just way too good. That pushes ARs in a situation where they need to be good in a more close combat style of fighting and SMGs just getting outperformed and made redundant by the likes of a AS FAL or FAMAS. Why would you like ever consider using a MP7? The power of snipers is a critical issue though and as far as I can remember it is pretty much as old as the game itself. All games in the shooter genre have traditioally made snipers too strong and way too easy to handle compared to "reality". I mean running and jumping arround and shooting a M107 and even hitting a target without breaking your entire upper body is just a joke when you know how real life snipers act. It is an important gameplay feature though and one of those cases where reality would just not be as "fun". So this is a case where balancing just isn´t as important as gamedesign. I agree with you Launchboy. Too many people try to redesign a weapon to suit their own purposes. Especially snipers. Actual gun manufacturers do NOT make a weapon to each individuals wants, they make a good all around weapon for everyone to use. BUT, the user needs to learn the intricacies of each weapon. Try firing an old military .45 and actually hitting a target while standing dead still. If you keeps changing weapons to suit the players, you are going to end up with a mishmash of junk that everybody will complain about even more than they do now. Personally, I don't play PVP for the reason you stated about the incessant hopping and jumping and being able to either 'quick scope' or 'hip shoot' and hit the target repeatedly. It's the reason I quit playing the Call Of Duty series of games. We called it bunnyhopping. I would love to see some of these people try doing that in a combat situation. The only thing that would keep them alive is the fact that the enemy would be paralyzed with laughter. But after they finished laughing... BANG!!! It would be all over but the shouting. If you want to nerf anything, nerf the constant jumping by making jumping use a lot more stamina and keep these jumping jacks grounded. 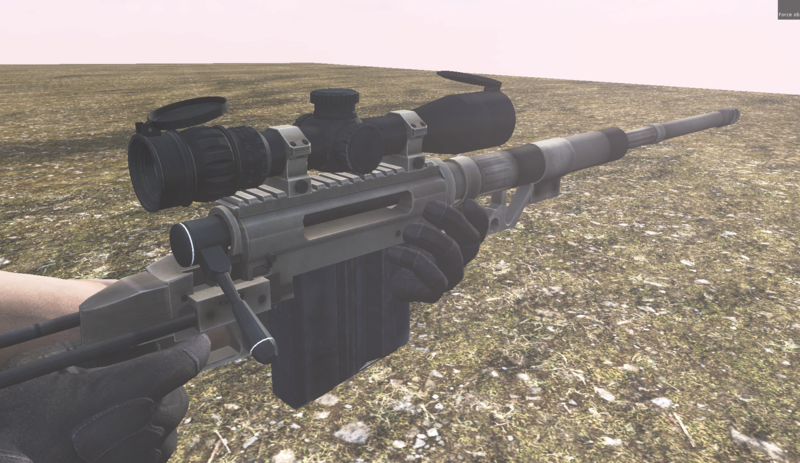 i think the imrpove of the IMITAR was not good, this AR was even before the patch realease the most popular AR weapon (because it´s fast and you can easy use a macro for this gun -.-). I see only one Person which wanted a better IMITAR in this Forum, and he is have rapid fire too. 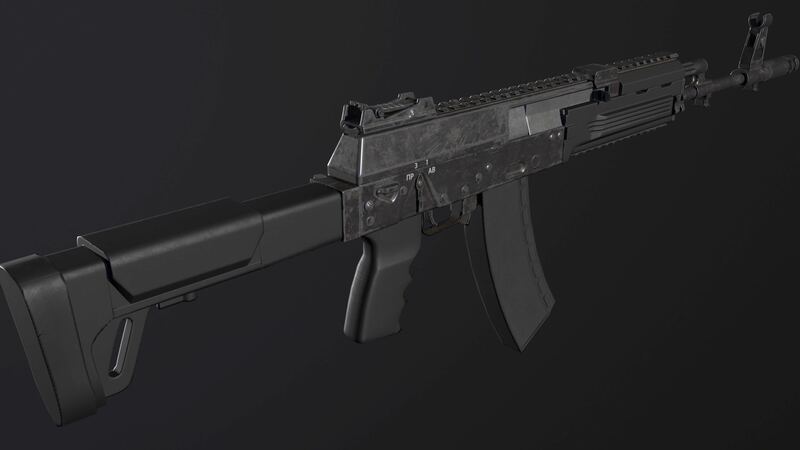 This one doesn't only look better but it's also really an AK12. I'll keep you all updated! As it sits presently, all of the SMG's except for the tommy gun are terrible. If you want the game to be realistic that's just fine as AR's actually DO completely dominate SMG's in every way except for size, but this is NewZ not a simulator game. The purpose of SMG's should be to dominate the ranges in between shotguns and AR's. How do we do that? We tweak our damage output and effective range until smg's are very powerful at close range, and we nerf the effective range so that AR's match or beat the SMG's beyond 15-20 yards or so. Lets look at the Damage per second on a few guns. Who on earth would accept damage output that is, at best, on par with mid-tier AR's when they can just take an AR and get 2-5x the effective range with the same damage?? After writing all of this out, it is my conclusion that for a player to even CONSIDER running an SMG, the absolute minimum damage output is about 280 per second. A number in the low 300's would make more sense, combined with spread numbers between 4.5 and 7, and decay numbers between 10 and 20.
this weapon would be incredibly deadly out to about 15 yards, but almost useless as you get out to 20 yards. In order for a gun to have DPS around 300, it MUST be very weak in some other dimension, in this case range. That's also important because if an smg had such high DPS and was also good out to, say, 40 yards, then AR's would start to become obsolete. This was sort of the issue that Tommy guns had pre-nerf, with a decay of 40 and a decent spread they were competing with the best AR's out to 45 yards. 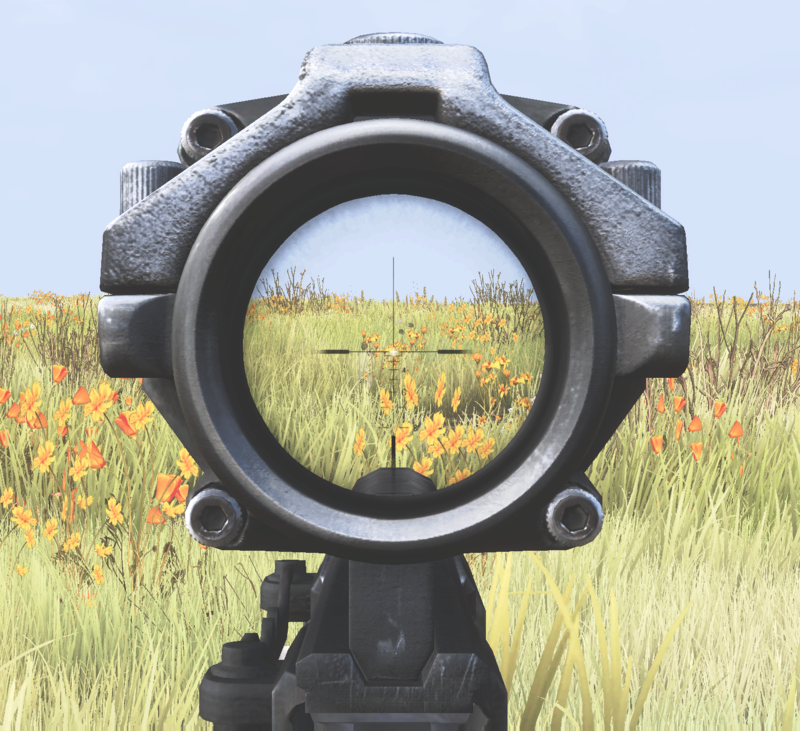 For open world you also have to consider that snipers beat AR's really badly beyond about 50 yards, while on open world / AR only servers red stalkers can run effectivly out to 100-125 yards. 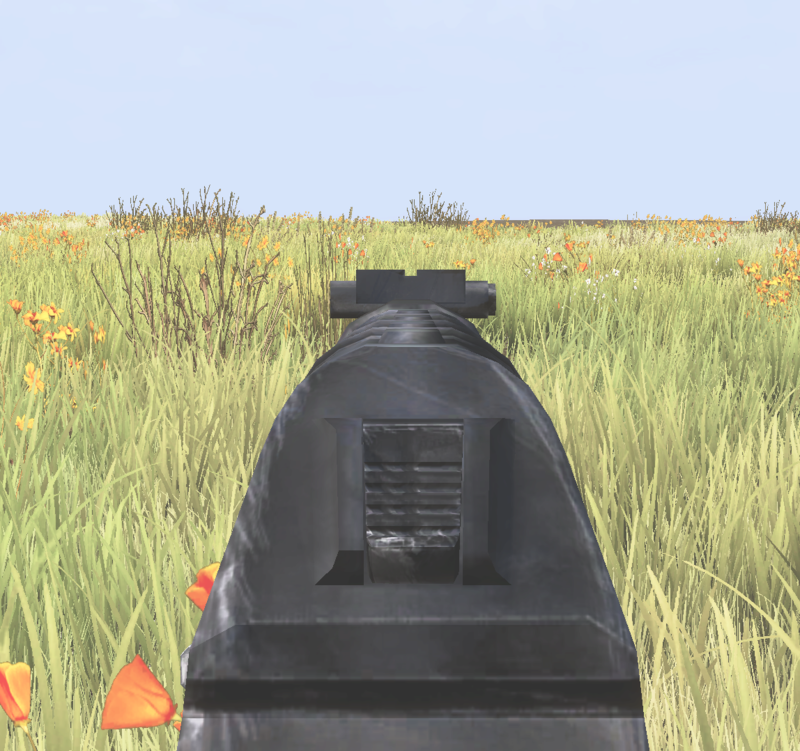 If SMG's have huge damage numbers, and are effective out to 40-50 yards, then AR's become obsolete in open world. That's not good! This is another reason I think SMG's must be kept as 15-25 yard guns MAX. Decay and spread must be nerfed if damage output is to be increased!!! The main problem is that the effective range of shotguns are limited primarily by spread, not decay. Spread on shotguns needs to go WAYY down, and decay also needs to go down to 2-5. After this change damage may need to be lowed from 203 per shot down to about 175. This doesn't necessarily give shotguns any more effective range AT ALL, what it does is make shotguns more reliable, instead of up to chance with the pellet spread. 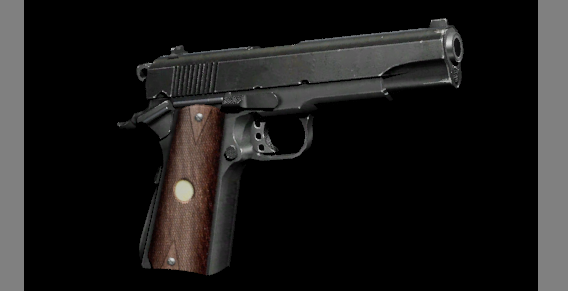 Some of the shutguns should have slightly different stats, with the double barrel perhaps having high spread and high damage, and the mossberg maybe having low spread but also barely enough damage to one shot. There are simply just to many guns around, make it that you can find ammo easy, all sorts of ammo, and then make it harder to find guns. Hmmmm… I clicked the link and got the message... PAGE NOT FOUND. 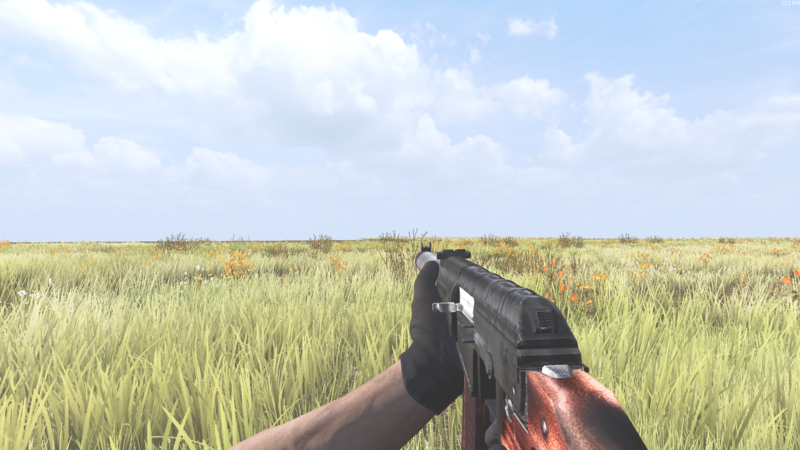 AK 12 has been finished. Moving on to the M200 now. M200 Rework is done. Main reason for this rework was because the original model was too unoptimized. This new model is more optimized. 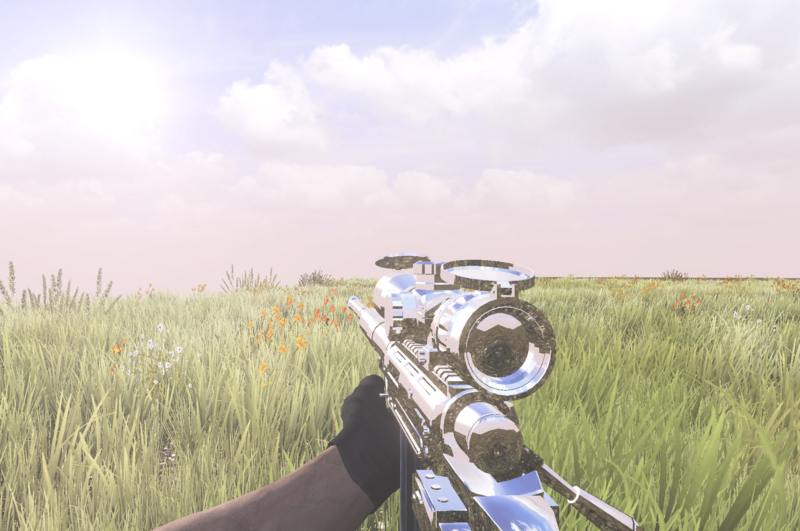 Going to start on the skins for the M200 now..
Picture of the new M200 Chrome! Just finished this one. It's already done and prepared for patch 2.19! Well Done Sven. Now, how about a fix for the uncontrollable vehicles? This is a major improvement for FPS and performance. 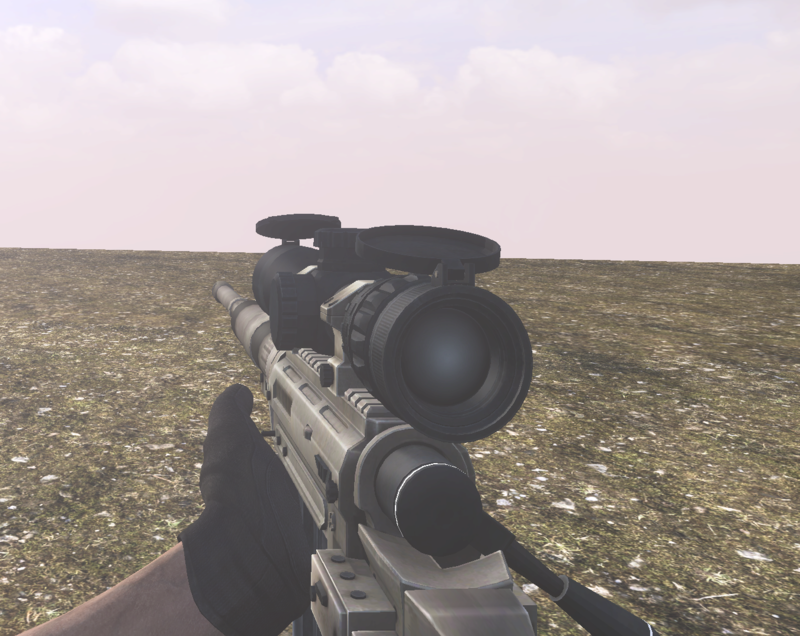 Best part is that the mesh still looks the same after optimizing. Which ones exactly or you mean that thing you pointed out earlier overall with all the vehicles? Just finished the replacement for the STI Eagle. 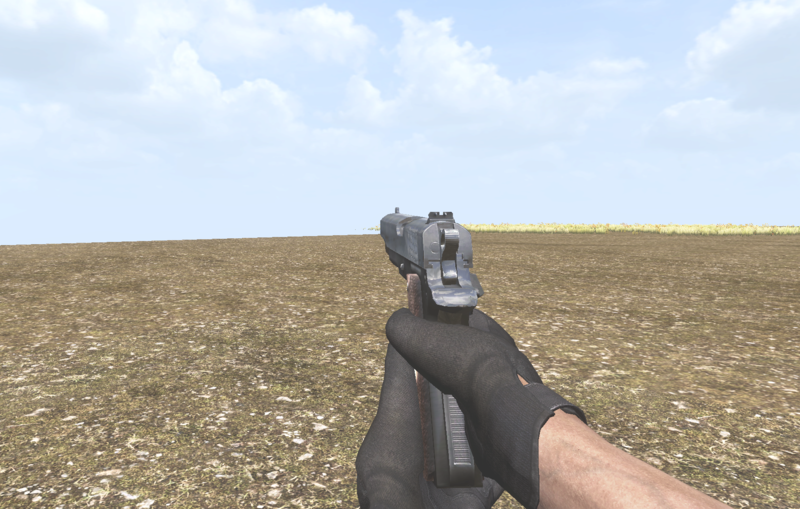 This pistol was using the Jericho model since for ever and since the start of New Z we wanted to replace this model with it's own unique one which is what we did! Finally it's different! NOTE: This didn't take any longer than 30 minutes so don't worry. We know this replacement wasn't SUPER important but glad it's done! Also updated the store icon! It seems the only one that is halfway controllable now is the Sheriff Dragster. And to a lesser extent, surprisingly, the Buggy. Even the most drivable vehicle, the ZK goes out of control when making a turn that in the past was not a problem. I've given up trying to use the ATV. In my opinion, the bus is totally worthless. Add to all this the fact that you get the message 'unable to exit vehicle' when you get stuck on top of a boulder stack. This requires quitting the server and reloading. Depending on the whim of when you respawn, you have 3 possibilities. 1) You respawn next to where you were and can retrieve the vehicle. 2) You respawn quite some distance from the vehicle causing you to not be able to find it in time to retrieve it. 3) When trying to re-enter the game, you get the message, 'Cannot join because your game has not exited'. Even when you quit completely and restart from the beginning. The time it takes to go through that process takes a while. By the time you can rejoin, your vehicle has either timed out, or it was picked up by another player. A similar thing happens when you are driving and are disconnected from the server. It's a crap shoot as to whether or not you will be able to retrieve the vehicle. The most recent issue is the skin changing Police Dragster. This has happened twice to me. You find the newest vehicle, the Police Dragster and pick it up and store it in your backpack. When you place it, it instantly turns into a Sheriff Dragster. I have a third Police Dragster in my inventory, but I refuse to use it for this reason. The main issue though is driving. Trying to make a turn and have your vehicle flipflop out of control. Don't take my word for all this, join a server and try them out for yourself. You will quickly come to realize what I am talking about.